Description: I was adventuring down the coast in Northern California with a good friend. We pulled over in a small town to get some water and snacks and stumbled upon this boat behind the store. I was immediately drawn to the character of the scene. Its positioning against the shore told a thousand stories, and yet I couldn't help but to want to tell one more. I brought the photo into Photoshop and removed the original sky from the photo, substituting it with a different photo. The sky I added complimented the contrast of the boat. I wanted to convey a feeling of turmoil and depth. 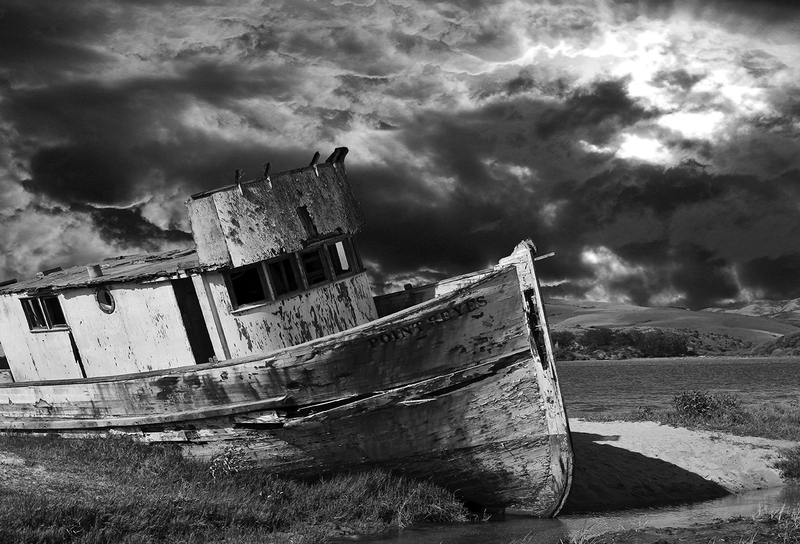 The weathered look of the boat against the new sky's backdrop reminded me of the short story I'd read titled "Flight of the Albatross"